Cheryl McFall has been a Head Start booster for many years: first as a mother with five children in Head Start classrooms. Then inspired, she became a Head Start teacher herself. Committed and devoted, she moved into management, and that’s when things started to get rough. In a nutshell, the challenge is the same for every Head Start agency in Detroit and across the country: recruitment and retention of teachers to work with the most vulnerable and needy of children. 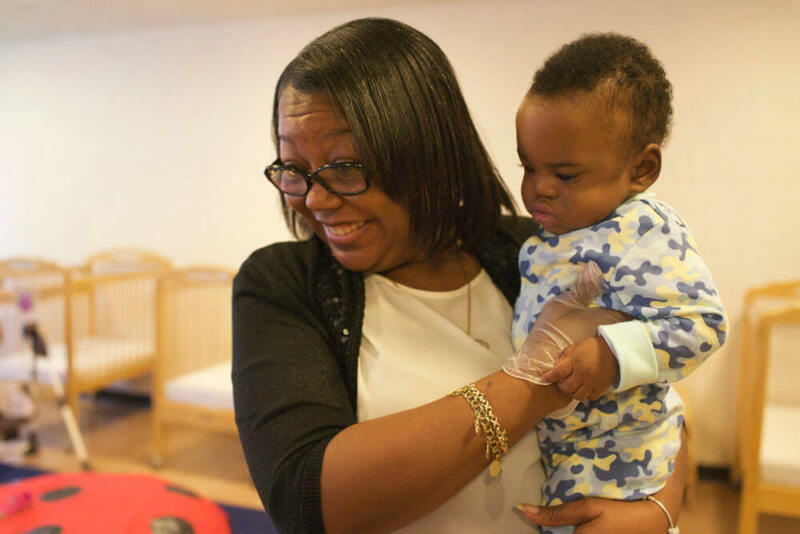 Says Cheryl, who is deputy executive director at the New St. Paul Tabernacle head Start agency: “Our problem is not just finding people, but qualified people, or trainable people. The pool is very, very thin.” A candidate who passed an (extensive) background check and got a job offer from New St. Paul might the next day apply at another Head Start agency, never to be seen again. But in recent years, money and ideas from the Innovation Fund of the Community Foundation for Southeast Michigan have simplified the hiring process. Various agencies no longer compete but cooperate to win the best candidates and do better for the children and families Head Start helps. One example: The Foundation marketed and organized two job fairs in 2017 that included several Head Start agencies, selling themselves to candidates on the same day, allowing candidates to make on-the spot decisions about where to apply. The first fair, in May, drew about 58 would-be teachers to the Outdoor Adventure Center and the second, in August at Hilton Garden Inn Southfield, attracted some 72 job-hunters. Both fairs were advertised on billboards, busses, fliers and social media, including the new website, DetroitHeadStart.com, spearheaded by the Foundation. New St. Paul’s Head Start agency serves 775 children and 30 pregnant mothers at 16 sites on the West side of Detroit, but has no marketing experts. Cheryl is glad the Foundation does, so word of the fairs reached a broader audience. It’s a new collaboration that lifts each agency’s aspirations.